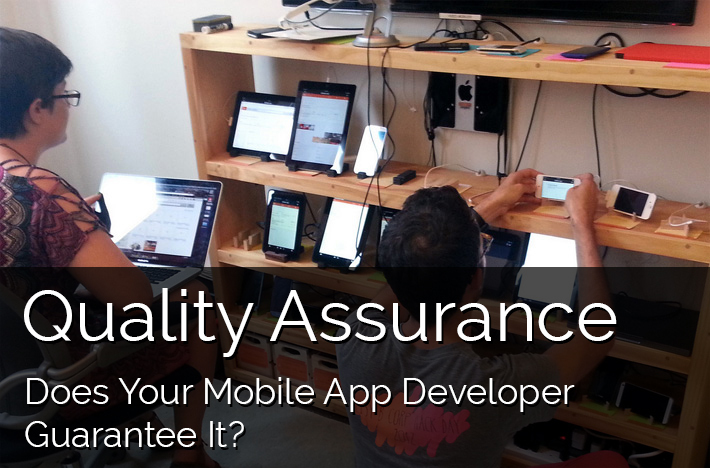 When an app developers develops a new mobile application, he must remember that Quality Assurance or QA has a vital role to play in it and never overlook it. An app can be successful only if QA is involved in all developmental stages be it the creation, concept, requirements for analyzing, test specifications, testing app’s early visions and also releasing of the final product. Most often, developers fail on carrying out proper Quality Assurance, a reason problems can happen after the launch of an app on the app store. Proper QA testing can help you to ensure that the apps are working properly. Let us analyze how QA plays a vital role in every phase. This phase comes in action even before the development of the app has been commissioned. It gets completed before the app’s first assembly takes place. Some of the major activities in this phase are identification of target device, introduction of functional requirements, developing the test documentation and then preparing its environment. In order to determine the target devices, one must figure out which devices will be supported by the application, what is the OS’s earliest version that needs support and identification of popular models. Here, the developer must define whether the app can be installed or is browser-based, whether or not it is self-contained and whether it will interact with a database, a website, social networks or other apps. Some apps require high-level documentation and the tasks performed are not complex but can be completed with some clicks. If this is the case, detailed instruction needn’t be created for testing. Apps which are an updated version in itself are quite helpful in analyzing user feedbacks and their reviews which are posted on the marketplace. The end users find and document the problems which later on help identify the app’s shortcomings and rectify it accordingly. This is how a new version helps to solve a specific problem which the app might be facing. 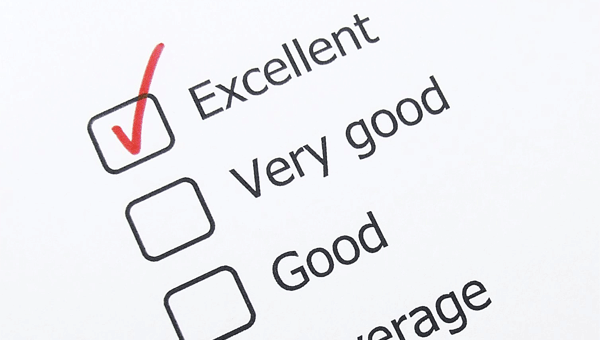 During testing, end-user concerns should be listed separately and paid special attention to. The required apps on the mobile need to be installed to create a test environment. Moreover, the required apps also need to be installed and configured on the computer of the QA engineer. Apps such as Android SDK and iPhone Configuration Utility might be included in this. The process then starts after the first assembly is integrated and ends when the product development gets completed. Multiple assemblies are tested at regular intervals. Such a testing helps a QA engineer to empathize with the user but with a detailed knowledge of the principles and settings of the device and app features that are being tested. The draft is prepared for release in this phase after the end of the product development. A detailed testing is carried out in this phase which helps to stabilize the app and do away with minor defects if any. Moreover, in this stage the app is tested for loss of auxiliary modules. In this stage, features can be added and settings changed which will not be visible in the app’s final version but are done so for testing and development purposes. However, before the app is made available to the public, the features and settings used to develop and test are taken away. 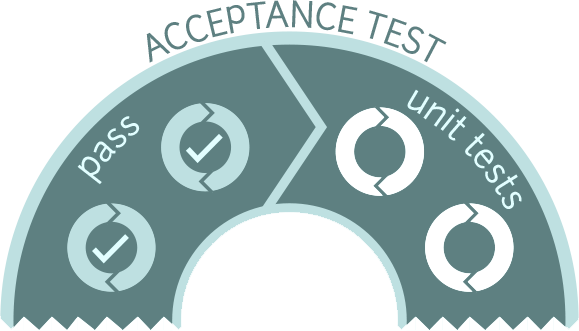 This is the final phase where the app is checked to match the acceptance criteria. 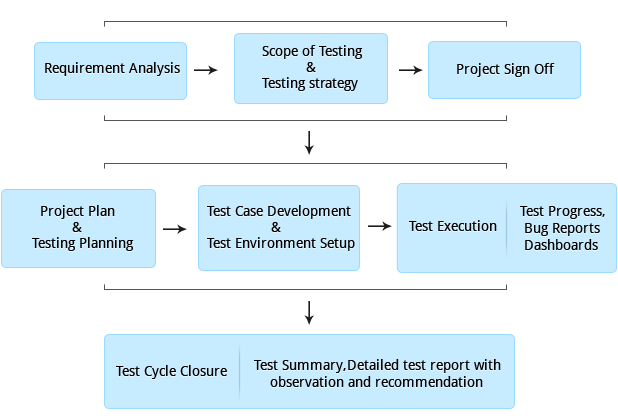 A set of typical test cases are used to perform this test which are based on the requirements of the app itself. It is the results of these tests which help the customer decide whether the app is good enough to be accepted or not. It is only after all these test phases are carefully carried out while the app is being developed that the developer can be sure that he has ended up with a functional product and the app is ready to hit the market. Mindinventory build your mobile application with proper app testing. We are highly recommended for mobile application testing and quality analysis services.